I moved to Arch Linux recently with KDE, and tried setting my organization email account on Kontact using davmail. After lot of investigation, I found out that somehow "davmail is not sending the right "From" address in new versions". That's Ok, except I have an old davmail server, that wasn't updated for some months, and it worked before I moved to Arch. 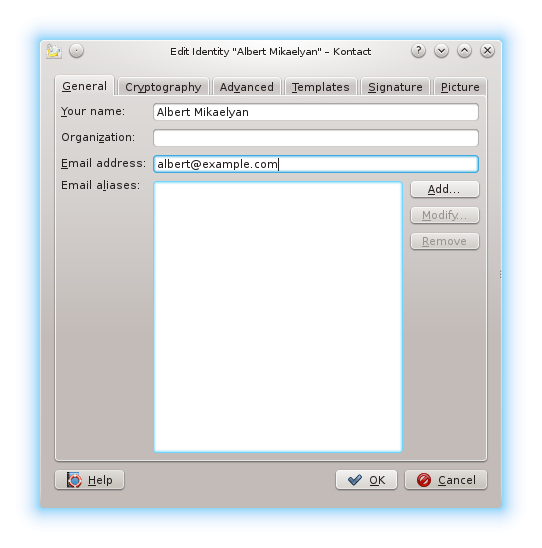 The way of sending messages configured here will be used for your default identity and for all other identities that do not have their own way of sending messages. You can use different ways of sending messages for different identities by selecting the Outgoing Account check box in the Advanced tab of the Identities page. Let's check my identity then! And I've found the culprit. Go to Configure Kmail -> Identities -> Choose your Identity -> Modify. I had no email address set in my Identity, right after setting it up, the emails sent successfully! Not sure why it happened, maybe some change in the newer version of Kmail. But that fixed it for me, and hope does the same for you!